The Dogs’ historic season and the AFL Grand Final ranked seventh on Facebook’s most talked-about topics in Australia during a year that wasn’t short on huge news stories. The social media giant has released its year-in-review data, analysing and aggregating Australians’ posts by tallying how many times a topic was mentioned on the platform. 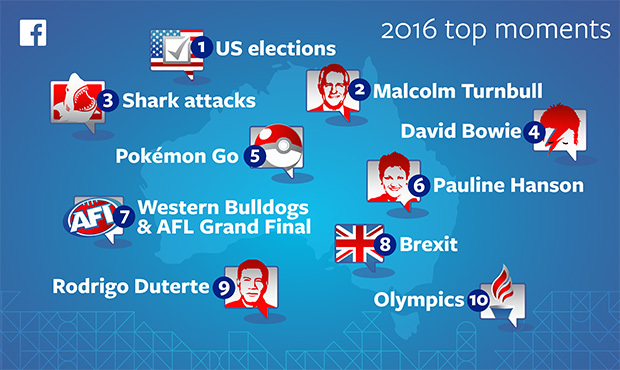 The US election was unsurprisingly the most-talked about topic online, while Prime Minister Malcolm Turnbull also caught the attention of users.